*Call during business hours to schedule an appointment. Zych's Certified Auto Service, Inc.
Zych's Certified Auto Service is a family owned auto repair shop dedicated to quality work and high standards. When bringing your car into Zych's Certified Auto Service, you can expect a great job done by friendly people. 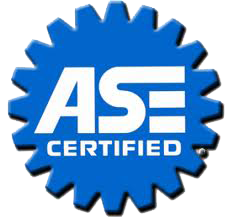 The auto repair technicians at Zych's Certified Auto Service are ASE Certified and maintain certification with regular testing. Jim Zych, the owner, believes in honesty and doing things right the first time. That is why Zych's Certified Auto has thrived, since 1976, and has the reputation to prove it.